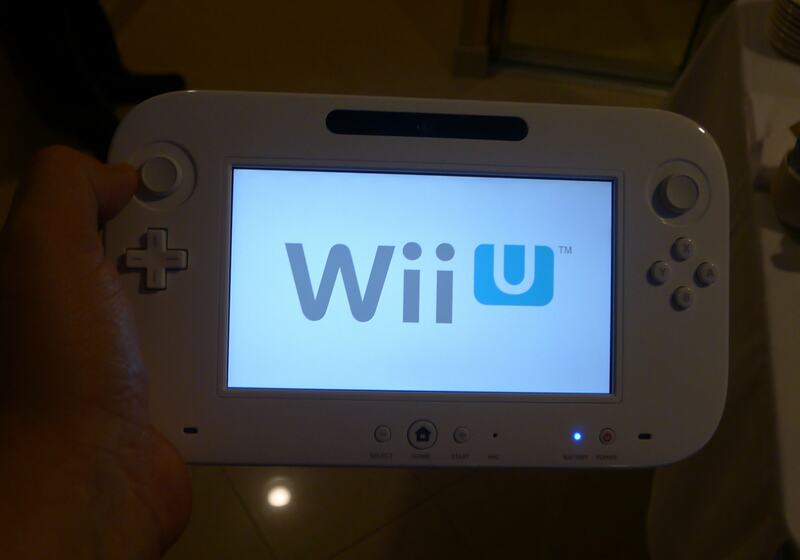 A rumor broke the week before CES that the WiiU was going to get an app and possibly a content store. The rumor was rather thin but there was a mention of Nintendo possibly selling and giving away gaming guides as well as having an ebookstore. Naturally I was deeply interested in the rumor and I made time to meet with Nintendo and get a look at the WiiU. CES is a few weeks gone now, but my impressions of the WiiU controller are as fresh now as they were then. The controller is not an ereader nor is it a tablet. But I can foresee that if you own one you will do at least some reading on it. I got the standard demo, and it covered a couple basic games. They weren't talking about the rumor, nor did they give me any juicy info on exactly what the system would do when it shipped. So pretty much everything in this post is based on my guesses about how you might use the system if you bought one. The WiiU can do games, videos, and various other tablet like activities, but I'm just interested in reading. (When the Nintendo PR people read this they will be so disappointed; I don't think they realized what I write about.) I'm glad I saw it. I noticed details that I couldn't see in the press coverage. First of all, the controller isn't a stand alone unit. While it looks like a tablet with 6.2" screen, it's really not much more than an appendage. You'll need to have it within range of the base unit for it to work, and that means that it is limited to your house. It's also rather heavy and it has a bumpy backside. Given the general feel of the device, I expect that when you're not using it to play a game it will likely be sitting in the charging cradle or in your lap while you're sitting on the couch. I don't think you're going to be reading any novels on the WiiU. The controller isn't really designed to be held like an ereader. But you might use it to read less intensive content. Tell me, do you sometimes use a tablet while watching TV? Perhaps you use the iPad to check Twitter, or an Android tablet to read RSS feeds? That's about how I expect you might read on the WiiU controller. Think for a moment about where the controller might be if you're watching a movie (lap or end table). My idea makes some sense, doesn't it? I won't make any guesses about what content Nintendo might sell on the WiiU, but I do think that it needs apps that support this kind of reading. One or more of the news aggregators would be a good choice. I'd also like to see a reading app that works with Instapaper, Readability, or ReadItLater. This would let users send web content to their controller as well as tie the WiiU into their existing reading patterns. Now, all this is pure speculation. 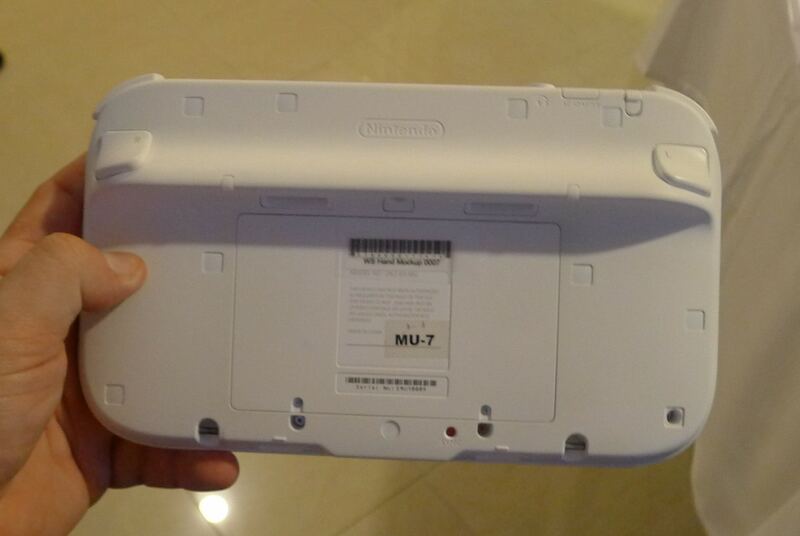 Not even Nintendo knows for sure what the WiiU will do (I got the impression that it was still up in the air). But I am looking forward to the release; I want to find out if I was right in my speculation. The WiiU peripheral is simply a remote display terminal for the console. Like an X-Terminal for a Unix box. (Do they still make those as standalones?) It relies on the console CPU and GPU for its use so each console will support a maximum of… one. It will probably get some non-gaming apps but without native processing capabilities and without IR capabilities, the most logical secondary feature goes away: home theater remote. So anyway; yes, most reading you’ll see on the WiiU will likely be gaming guides, tweets, facebook updates, and as a reach, RSS feeds or outright browsing. But only when *not* gaming. Yes, but that wasn’t something that I knew for sure until I held it in my hands. The Wii u tablet does have an infra-red emitter and so it is perfectly plausible that it could be used as a universal remote. Nintendo seem (?) to have been working on extending the range from the base unit that it can be used, but that still would not make it a fully portable device. More than one tablet can be used with a console…probably. Whether it is used as a reader or not will almost certainly depend on the apps available. I see no reason why a kindle reader cannot be made for it. It is, after all, based on standard P.C. architecture.